And the Award for Worst New Domain Name Goes To………………. 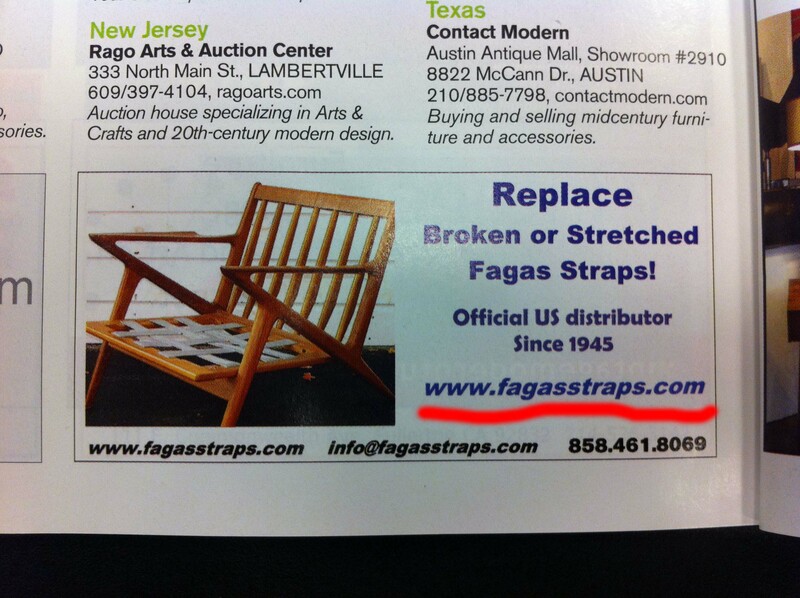 FagasStraps.com I’m a little reluctant to buy this chair. Modern Danish furniture – if you’re stuck in a wormhole in 1945 😀 BTW “fagas” means foodie in Greek. lol this is where domain with hyphen would have been better choice. Palm to Face. Truly Sad. what kind of magazines are you reading over there !? Your wife know about this?